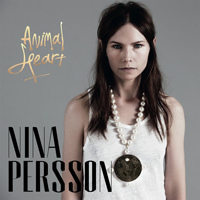 Enter your email address for Nina Persson related news & updates. Released on Record Store Day, in Europe, on 18th April 2015. 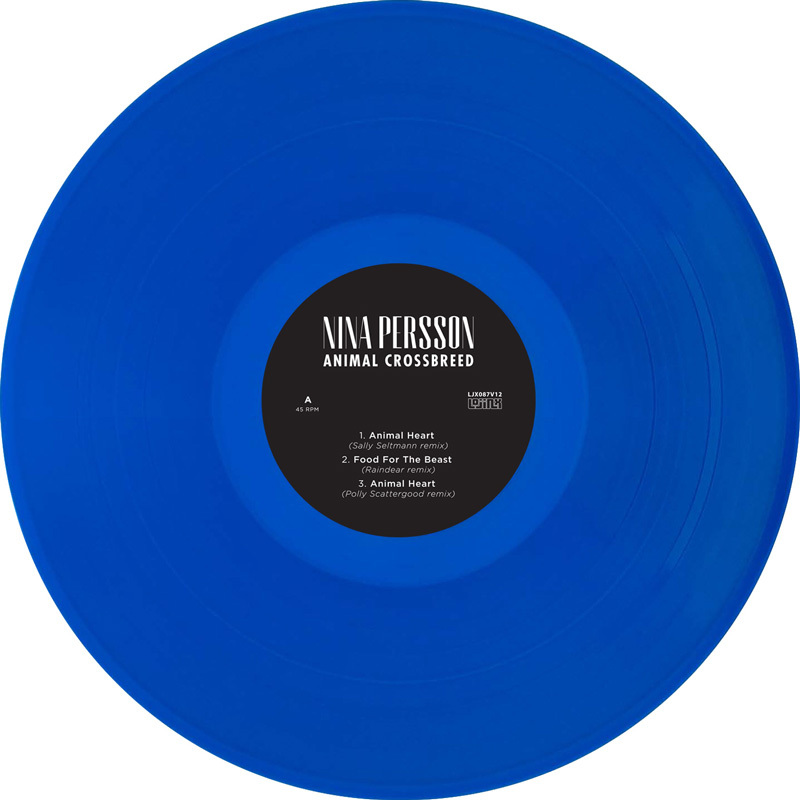 All-female remix EP featuring Sally Seltmann (Australia), Raindear (Sweden), Polly Scattergood (UK), Hannah Schneider (Denmark) & White Prism (Australia) remixing, twisting & distorting songs from Nina Persson's album Animal Heart. 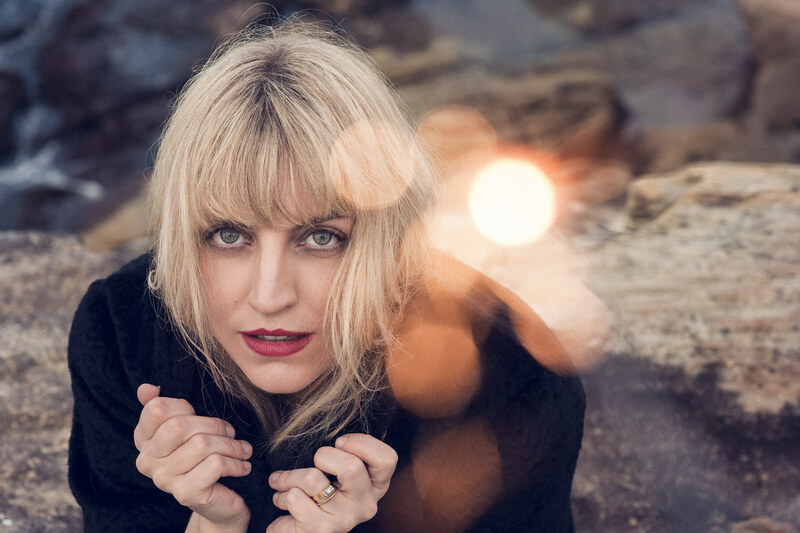 Sally Seltmann is an award-winning Australian singer/song writer/producer. She is the co-writer of the song ‘1234’, as performed by Feist, and a member of Seeker Lover Keeper with Sarah Blasko & Holly Throsby. Sally previously performed under the name New Buffalo and her songs have been covered by several artists, including Bon Iver. Sally's 4th album "Hey Daydreamer" was released in 2014 (Lojinx/Caroline/Arts&Crafts). 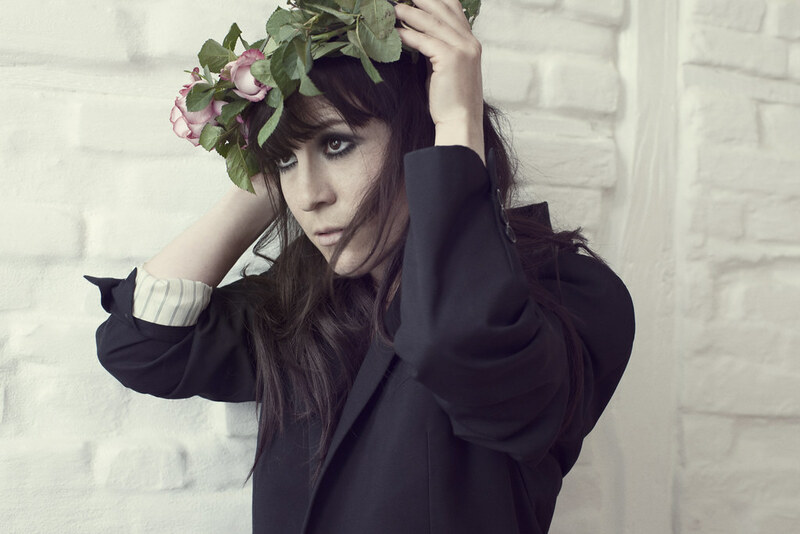 Raindear is the nom de plume of Swedish indie electro-chanteuse Rebecca Bergcrantz. Her self-produced debut EP, The Game, is a perhaps testimony of a young girl's mind-puzzles and sleepless nights. Her music is best described as melodic and cinematic electro pop with influences from jazz and world music. Raindear's sound is veiled with an ambience and euphoria tangled with haunting vocals resulting in something extremely characteristic and unique. Polly Scattergood released her second album Arrows on Mute Records in October 2013. Written in London, France, Berlin and Norfolk, Arrows features Polly Scattergood’s signature blend of storytelling and soul-searching, but also looks outwards and heavenwards, spinning an enchanting web of sonic playfulness while stretching for new skylines. After playing a string of sold out live shows, Polly then announced she is back in the studio and working on new material. Copenhagen based singer and musician Hannah Schneider creates melancholic and playful pop, crafted with a love for the singer/songwriter tradition and a fascination with electronic sounds and samples. Hannah is inspired by her environment - the sounds surrounding her - and incorporates a diversity of instrumentation and timbre that includes the sound of drum playing on a kitchen table and that of a door closing, adding an unique dimension to the expertly constructed pop tunes. Her music is imbued with themes of melancholia and loneliness that are conveyed with an engaging charisma in her voice, instrumentation and expert arrangements. Her new album, Red Lines (Lojinx/Mermaid/Sony) was released in October 2014. The Australian-born and NYC-based artist Johanna Cranitch has been surrounded by music since birth. From her early upbringings in the esteemed Kodaly school of music, to the Gregorian chants that her father, a former Priest in training, brought to the table, Johanna was veered to the stage by her music loving parents. Johanna has navigated her way through every aspect of the music industry, and has finally revealed herself as an artist worthy of acclaim. Her ethereal, “Kate Bush-inspired huskyisms” - as described by Time Out magazine - crystallised into the electro-pop chicness that is her new outlet, White Prism.